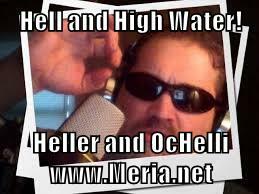 2/13/18 Hell & High Water, with Meria and Chuck Ochelli. Dying with the “flu”;homeless deaths and murders;When was America great? MAGA? trump & big pharma;Sessions and opioids; Rob Porter’s background check-when did they know? Birds of a feather;NSA/Fed.Reserve;Pence at the Olympics;Obama & Bush;Russian prayer breakfast;Ethics committee?Arnold vs. trump;”Survival of the Richest”;income inequality; divide & conquer; are you middle class? post WW2 economics; corporate abuse;the myth of America;the new GOP;the tv series: Altered Carbon & Electric Dreams and more. 2 Responses to "Hell and High Water with Meria & Chuck Ochelli"
simple: the uneducated have been duped and love their own enslavement.